A game-changing read that’s set to do for the cultural dialogue around working families what Lean In did for working women. 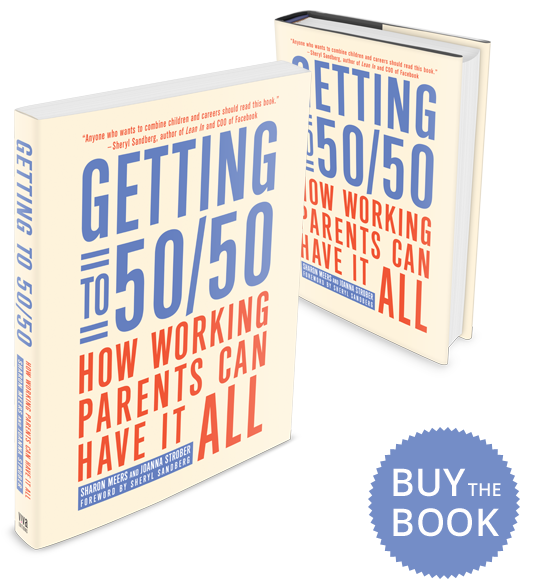 In Getting to 50/50, Sharon Meers and Joanna Strober share personal stories, compelling social science and a practical roadmap to help women - and men - stay engaged with their kids without sacrificing their careers. Getting to 50/50 offers encouragement, hope, and confidence to any parent who has ever questioned their choices regarding career and family. Sharon Meers is the Head of Enterprise Strategy at Magento, which is part of eBay Inc.. 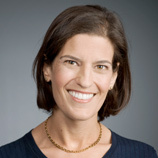 Prior to joining eBay, Sharon was a Managing Director at Goldman Sachs, where she worked for 16 years and was co-chair of the Investment Management Division’s Women’s Network. Sharon and her husband founded the Partnership for Parity at Stanford Graduate School of Business to make the dialog about men, women and work more fact-based, co-ed and fun. Sharon and her husband live in the Bay Area with their two children ages 9 and 12. Joanna Strober is the Founder and CEO of an online company developing a platform and tools to help fight and prevent childhood obesity. 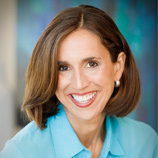 Previously, Joanna was a Managing Director at an investment management firm where she ran a private equity fund and a partner at Bessemer Venture Partners where she made consumer internet investments, backing companies including Blue Nile and BabyCenter. Joanna and her husband live in the Bay Area with their three children ages 7 to 15. 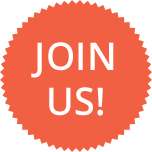 Attend our next Getting to 50/50 Event! 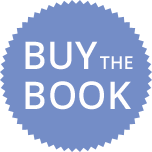 Join authors Sharon Meers and Joanna Strober at the Commonwealth Club. Open to the public! In 2004, Sharon and Joanna began speaking at Stanford and on campuses across the country. Students are universally asking two questions: "How can we succeed in the lives we're training for? Why don’t we see more examples of men and women who enjoy the dual-career life – who can show us a clear path?" 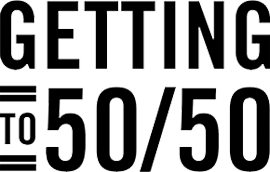 Getting to 50/50 offers a window into the lives of many men and women who happily share success, love and power – both in their careers and their families.